That would constitute massive growth from current levels. China imported 234.3 million tonnes of coal in 2012, which constituted a huge jump – 28.7% – over the year before. Ren said that the Chinese market is highly sensitive to price movements and would import coal even when it is able to satisfy coal demand from domestic sources. The China National Coal Association announced yesterday that production in the country reached 3.66 billion tonnes in 2012, up by 4% compared to the year before. 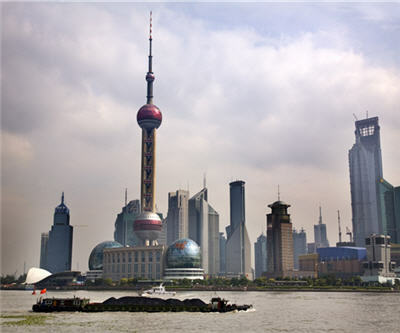 China's coal use grew by 325 million tons in 2011, accounting for 87% of the 374 million ton global increase in coal use. Of the 2.9 billion tons of global coal demand growth since 2000, China accounted for 2.3 billion tons (82%). China now accounts for 47% of global coal consumption—almost as much as the entire rest of the world combined. Robust coal demand growth in China is the result of a more than 200% increase in Chinese electric generation since 2000, fueled primarily by coal. 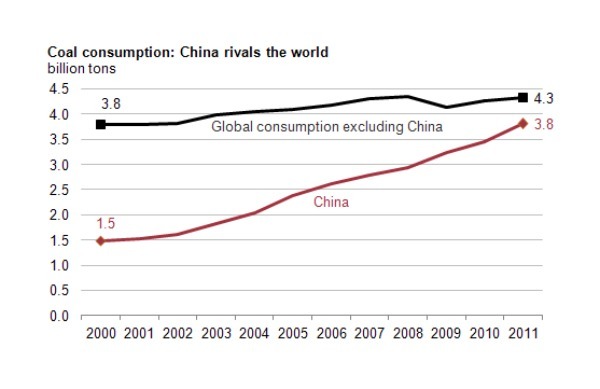 China's coal demand growth averaged 9% per year from 2000 to 2010, more than double the global growth rate of 4% and significantly higher than global growth excluding China, which averaged only 1%. While Australian and Indonesian coal miners have been the main beneficiaries of Chinese growth, the US coal industry – struggling to compete with cheap natural gas at home – has been thrown a lifeline by upping exports. US exports are on track for a record year in 2012 of more than 125 million tonnes. That is up from just 40 million tonnes a decade ago and in line with the all-time record set in 1981. While metallurgical coal used in steel-making still constitutes the bulk of US exports, all the growth has come from increased steam coal exports.